For two years, from 2012 to early 2014, David Stern was the UFC’s main scout in China. He left the job to pursue other related opportunities in the US (he’s currently helping Chinese UFC fighter Li Jingliang’s fight camp in Las Vegas) but there are few people out there who know the China fight scene like David. In the short time that David worked in China for the UFC, he signed several fighters, arranged training camps and referee training sessions for the local scene, and buried himself in camps and gyms across the country. I asked him to put together a short list of the top Chinese fighters, and provide a bit of commentary about them. 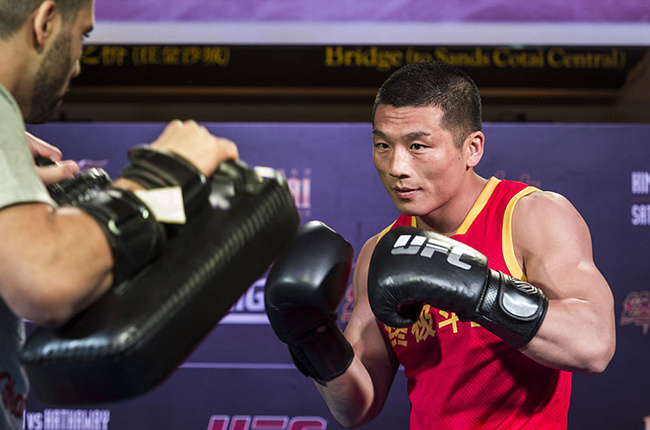 The first two fighters are Wang Sai and Zhang Lipeng, the TUF finalists in the welterweight division. Zhang won the fight via split decision. “Zhang Lipeng and Wang Sai are two fighters that I've wanted to see scrap since I first saw them fight over three years ago. They are both solid grapplers which sets them apart from the typical Sanda based MMA fighters [in China]. Wang Sai's talent lies in his ability to mix his tools. He's one of the most well-rounded fighters from China, if not the most well-rounded. That means he is able to compete in all areas, and if he's got the right coaching staff behind him and is able to dictate where the fight takes place, he'll be able to exploit weaknesses in more one dimensional opponents. Zhang Lipeng, on the other hand, just shows exponential improvement. 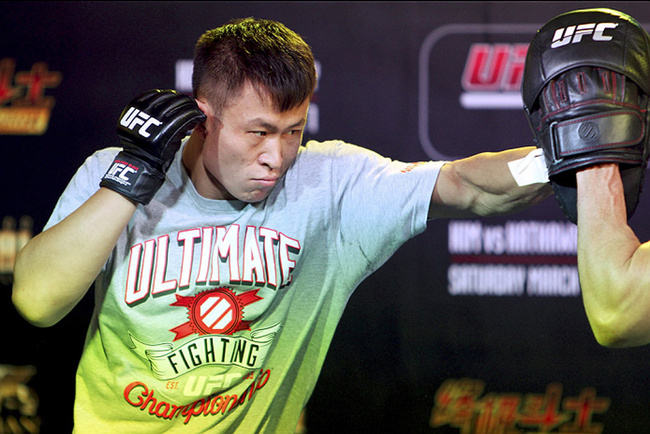 Of all the fighters from TUF China he improved the most and I think [his] potential is huge. If he gets himself to a proper camp he'll see good results in the UFC. 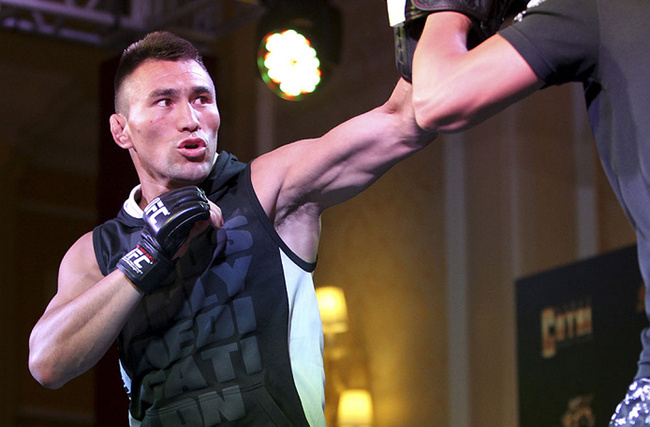 The next fighter is Jumabieke Tuerxun, a Chinese-Khazak fighter who lost to David Eddiva in the TUF: Macao Finale. “Jumabieke is the perfect example of what happens when you take four fights in a month against garbage cans that don't have any business calling themselves pro MMA fighters. Jumabieke has a very strong wrestling base, he's very strong, and he’s very tough. In a place like China it's easy for him to walk through most guys relying solely on those three things because very few guys are great BJJ practitioners or wrestlers. Obviously, in the UFC, which is littered with highly decorated black belts and collegiate wrestlers, that's not enough to get by on. Jumabieke's wrestling is good enough to compete with a lot of the guys in the lower tier of the UFC. The problem is his stand up has only been tested on much lower level guys, guys who are hesitant to throw down with Jumabieke or who get dragged to the mat by the superior wrestler. Jumabieke however faced a much bigger challenge in his UFC debut. His camp may have underestimated the toll that real world class competition will take, both inside and outside of the Octagon. In the UFC, camps build game plans, watch fight footage, train smart (resting, not over-training etc), and take time off between fights. In the span of two months Jumabieke had taken three fights prior to his debut in the UFC. Not to mention, when you're fighting guys that are substantially below your level you can only really get worse or maintain, it's near impossible to get better. George St. Pierre doesn't train his stand up with Taibo students, he brings in elite pro boxers that would likely KO him in a boxing match. He grapples with BJJ blackbelts who tap him, he wrestles with the olympic team against former medalists. Guys who have long careers in the UFC continue to improve while they are there because they are fighting the best and training with the most elite athletes they can find. That's not something most Chinese fighters are doing and it's not something that two weeks training in Thailand can fix. Both mentally and physically Jumabieke wasn't ready. But that does not mean he isn't at the right level. Li Jingliang, or “The Leech," is a submission specialist who was scheduled to fight Danny Mitchell May 24th in Las Vegas on the UFC 173 card, but Mitchell canceled due to injury. Every one of Ji Xian’s victories as come via submission. Ji is signed to Singapore’s OneFC promotion, and will be fighting Thanh Yu on May 30th on the OneFC 16 card. “Li Jingliang and Ji Xian are arguably the best BJJ practitioners from China in their respective weight classes. They are both former regional champions in MMA and both have solid records and have fought some decent opponents. One huge difference between these two though is that Leech thinks he's the best and has a huge desire to prove it. Fighters all over the world would do anything to fight in the UFC. We've seen it countless times. Of course it's for money, but why will so many fighters go through so much in these small regional shows for 500 bucks, 1000 bucks, free sometimes (they fight for free to try to make it into the TUF house)? It's because they are fighting for more than money. It's for glory. The chance to fight and beat the best fighters in the world. However in China, where these promotions have started popping up so fast, the need for fighters is growing ... this has driven up prices to the point where many Sanda or other fighters are crossing over just for the purses and they don't care if they win, lose, or fight the best. This is obviously a huge problem in the Chinese sports culture, but you see it clearly in MMA. There's opportunity in the UFC that fighters won't find anywhere else, but if they are just fighting for money then they should go fight Sanda or at some other promotion that will let them fight ridiculous match ups where they won't get hurt and have no risk of losing or chance of getting better. There are no shortage of those in China. Many that go beyond mismatching to actually fixing fights (which makes me sick to my stomach). When I was negotiating with Li, he had some very enticing and lucrative offers on the table. Li also fights in arguably the most stacked division in the UFC, a division that is extremely talent-rich and every opponent is dangerous. I asked him simply ‘What are you fighting for? Do you want to fight chumps and make money, or do you want to fight the best in the world and maybe get a chance to fight for a world championship belt one day?’ Within 2 days he was a signed UFC fighter. Rounding out the list is Wang Guan, a fighter in the local RUFF promotion. 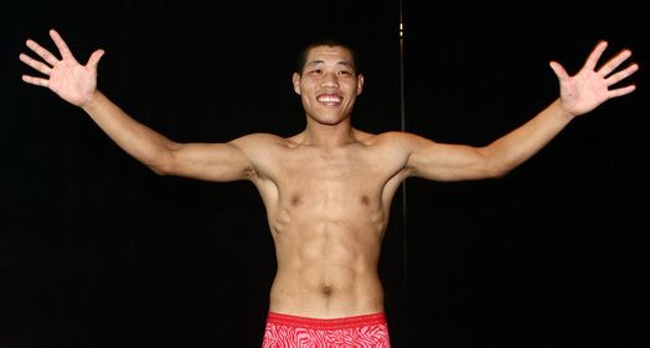 A good striker and a very respected competitor in the China MMA scene, Wang is coming off of a quick KO in RUFF 12. 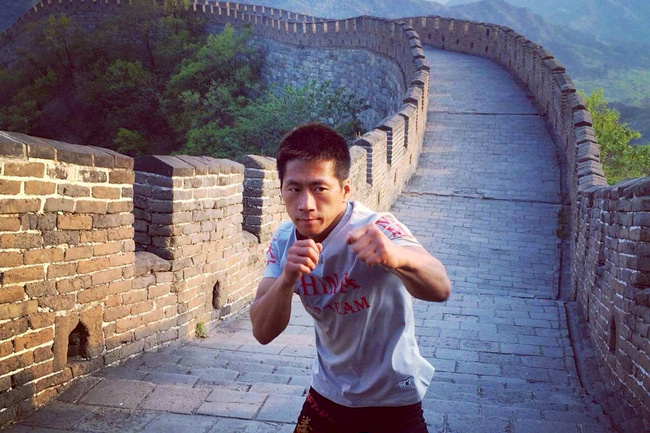 “Wang Guan is likely the best striker from China that has crossed over into MMA, other than perhaps Bateer. He's got great accuracy with his strikes and great instincts for finishing fights which is what every promoter wants. His ground skills are enough to get by in China but he will definitely need to improve if he wants to be able to benefit fully from his striking abilities. When he lost his title [at RUFF 11] he fought a very tough opponent, but the difference in that fight was clearly his opponent’s superior wrestling. Still I think he left little doubt that, if his wrestling had been up to par, he would have come away with a win. 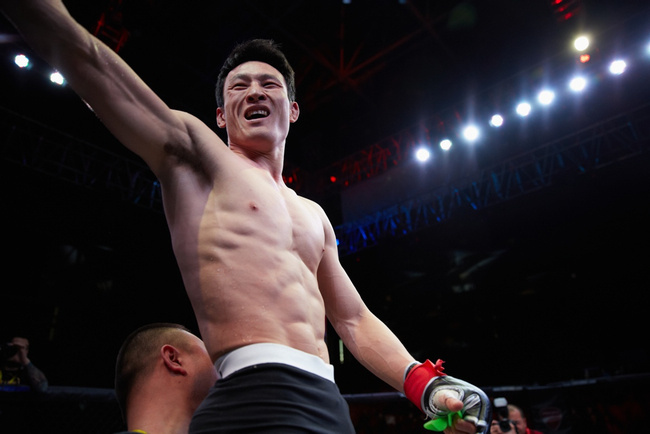 I think we'll see Wang Guan in the UFC in the future, if he clears out the competition at his current promotion, because they won't be able to keep finding enough talented opponents for him who are willing to fight that level of talent in a small regional show.